Solution: In the ionic compounds LiF, NaCl, KBr, and RbI, the measured cation-anion distances are 2.01 Å (Li–F), 2.82 Å (Na–Cl), 3.30 Å (K–Br), and 3.67 Å (Rb–I), respectively.What estimates of the cation–anion distance would you obtain for these four compounds using neutral atom bonding atomic radii? Are these estimates as accurate as the estimates using ionic radii? 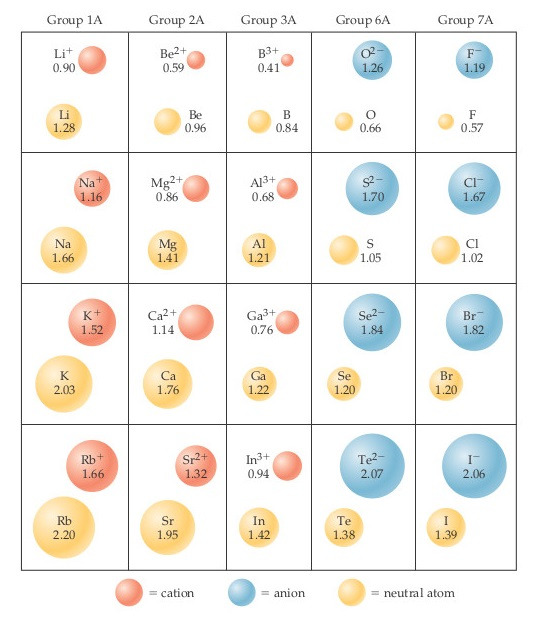 In the ionic compounds LiF, NaCl, KBr, and RbI, the measured cation-anion distances are 2.01 Å (Li–F), 2.82 Å (Na–Cl), 3.30 Å (K–Br), and 3.67 Å (Rb–I), respectively. What estimates of the cation–anion distance would you obtain for these four compounds using neutral atom bonding atomic radii? Are these estimates as accurate as the estimates using ionic radii?